5* x 10 new lovely creations. Happy weekend, Lili !!!! Hi, 12 new creations have been rated. 5⭐️ to your wonderful art, Lili. Have a nice weekend. Impressive gallery! 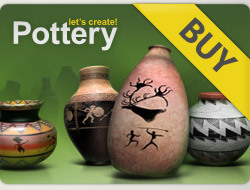 24 x 5***** for your newest beautiful pots! Welcome back, Lili ♥ Happy New Year !!!! Marvellous new pot, 5*, Lili!